Administrative Law Judge (ALJ) Lisa M. O’Brien, Office of Administrative Hearings, State of California, heard this matter on May 26, 2010, and June 7, 2010, in San Jose, California. Attorney Lenore Silverman, of Fagen Friedman & Fulfrost, LLP, represented the Moreland School District (District). Dr. Jamal Splane, Director of Special Education for the District, was present both days. Student’s mother (Parent) represented Student, and attended both days of hearing. 1 This corrects the decision concerning the filing of District’s closing brief, which is now included in footnote 2. No other changes were made to the decision. 2 To maintain a clear record, Student’s brief has been marked as Exhibit S-3; District’s brief has been marked as Exhibit D- 7. 3 At the beginning of the hearing, the parties stipulated to add a second issue, “Does Student qualify for home instruction services?” However, neither party offered any oral or documentary evidence regarding the second issue. Therefore, this issue is dismissed. Did District’s placement offer of a therapeutic special day class, as set forth in the January 12, 2010 individualized education program (IEP) and February 4, 2010 amendments, provide Student with a free appropriate public education (FAPE)? District contends that the January 12, 2010 IEP and February 4, 2010 amendment offer Student a FAPE. District asserts that it complied with the procedural requirements of the Individuals with Disabilities Education Act (IDEA) in the steps it took to hold the IEP team meeting and in the development of the IEP. District further contends that the IEP identified Student’s areas of need, offered measurable goals in those areas, and offered Student accommodations and modifications necessary to benefit from his education. District claims it offered Student special education placement services designed to provide some educational benefit, specifically by offering to place him in the county office of education therapeutic special day class, Blossom Hill Elementary emotional disturbance special day class (Blossom); Student refused, and requested placement in Payne Elementary therapeutic special day class (Payne SDC). Student contends that he was denied a FAPE because the written IEP and amendment offered Student the county office of education therapeutic special day class but did not sufficiently identify that placement as Blossom. 1. Student is a 10-year-old boy who resides in the District with Parent. He is eligible for special education and related services because of a specific learning disability and emotional disturbance. 2. On December 14 and 15, 2009, District’s school psychologist Lauren Ani conducted a comprehensive psychoeducational assessment of Student to determine his present levels of functioning and to assist with planning his educational program as determined by the IEP team. Ms. Ani obtained her Educational Specialist degree in 2009 and her bachelor of arts degree in child psychology and education in 2005. She is also certified nationally as a School Psychologist and in California she is credentialed in Pupil Personnel Services. She has extensive graduate experience in special education and conducting psychoeducational assessments. She maintains the position of School Psychologist at two separate school districts, assessing students in grades kindergarten through 12th. 3. For the psychoeducational evaluation, Ms. Ani consulted with Student’s teachers and staff, observed him in classroom activities, and assessed him to ascertain any academic difficulties. Student’s behavior started to escalate at times during her assessment of Student. She intervened with verbal and non-verbal commands to place Student back on task. 4. The psychoeducational evaluation’s results indicated that Student struggles with attention, hyperactivity, aggression and social skills. He was often isolated and demonstrated symptoms of withdrawal and depression at school. He was easily frustrated and quickly became angry, having difficulty controlling his emotional response and engaging in inappropriate peer interactions. His difficulty existed to a degree such that his emotional and behavioral needs were not met in his current general education setting as evidenced by his multiple suspensions and physical behavior towards others. 5. Ms. Ani made several recommendations. She recommended that Student receive adult support in transitioning to and from unstructured activities such as recess, that he receive support to help him keep focused and be able to finish in-class assignments and that he receive counseling or explicit adult teaching in regard to academic and non-academic activities in order to help him succeed in these activities. 6. A school district provides a FAPE to a student if its program or placement is designed to address the student’s unique educational needs and is reasonably calculated to provide meaningful educational benefit in the least restrictive environment. The parties have stipulated that Student should be placed into a therapeutic special day class. 7. Student has been attending general education classes at Payne Elementary School (Payne) since March 2007, with a one-on-one aide and pull-out resource support. While Payne is not his home-based school, he was attending Payne through an intra-district transfer. Parent removed Student from Payne on April 8, 2010, and he is not currently attending school. 8. Student’s performance in the general education classroom at Payne was extremely variable from day to day. Student required extensive prompting and step-by-step verbal cues to de-escalate his behavior. District’s witnesses credibly established that Student’s behavioral and emotional instability disturbed the other students. The other students refused to participate in activities with Student. Student’s behavior was impeding the progress of his own educational goals, and negatively interfering with the education of the other students. Ms. Ani credibly opined that Student’s current general education placement was not providing the supports necessary to address Student’s unique needs. 9. Ms. Donna Wohltmann has been Student’s Resource Specialist Teacher since his enrollment into Payne in 2007 and has attended all of his IEP meetings. The services she most recently provided for Student included observing him in classroom settings, developing his plan for success and assessing Student for reading awareness, phonics, oral language, fluency and comprehension. He also participated in small-group special education instruction for silent reading time and math. Student was often talking out loud during this time about a variety of topics including his day and experiences. He required repeated prompting with one-on-one support. Ms. Wohltmann does not believe that Student’s continued placement at Payne is appropriate because of his lack of progress towards his goals and present levels of performance. 10. Wendy Johnson was Student’s fourth grade general education teacher. She has been employed with District since 2006 as a fourth grade teacher. Student was placed in her classroom for mainstreaming with general education students for the 2009-2010 school year. 11. Ms. Johnson opined that this placement was no longer appropriate in that Student displayed significant symptoms of withdrawal, hyperactivity, aggression, conduct problems, depression and attention difficulties. Student displayed inappropriate social skills in the classroom in that he had difficulty staying seated, was very active, and he disrupted the work of his peers in the class by displaying negative conduct such as breaking and disobeying the classroom rules. Student had poor control over his impulses and became agitated quickly. He often responded inappropriately to peers in the classroom with verbal threats or physical assaults. Student was often unable to complete his in-class work due to distractions. He had difficulty taking the perspective of others and seeing alternative views on both his actions and those of others. He was often off-task and required repeated verbal or non-verbal cues to get back to work. Student was often unable to participate in partner activities with the other students as he was unable to complete the prerequisite in-class activity for working with a partner. This further isolated him from peer activity and adversely affected his social and emotional skills. 12. An award system was instituted for Student to try to address his behavioral issues. He was to receive checkmarks for each positive behavior he displayed, such as staying on-task or focused, with a possibility of receiving eight checks a day. Upon obtaining eight checks, he would receive “classroom bucks” to purchase items in the classroom store. Student was never able to achieve eight checks in a daily routine. The amount required was then lowered to five, and he was still unable to receive enough positive behavioral checks to be rewarded. 13. Ms. Theresa Molinelli is the principal for Payne. She has a doctor of education degree and a master of arts degree with an emphasis in education in organization and leadership as well as multiple teaching credentials and certificates. She has 22 years of professional experience in education, including teaching kindergarten through 12th grades in multiple subjects. 14. Ms. Molinelli is familiar with Student and his areas of need. She met with Parent every two to three weeks, as well as participated in multiple telephone conferences throughout the 2009-2010 school year. She observed Student in the classroom and on the playground on a regular basis and witnessed his struggles on the bus, and while waiting for the bus to arrive. He was unable to build relationships with other students, and when he was very frustrated, it was extremely difficult for him to move beyond that point of frustration. Student had frequent outbursts and he carried his frustration and rage out to his exterior behavior. For example, Student was frustrated when his bus was late and then became volatile towards the other students. Student had no ability to compose himself, he just responded in a volatile manner. 15. Dr. Jamal Splane has been the Director of Student Services for District since 2005, and was a School Psychologist, as well as a special day class teacher, for District from 2001 to 2005. Dr. Splane received his bachelor of arts in clinical and counseling psychology, masters of arts in education, and doctor of philosophy in educational psychology. Part of his current duties is to familiarize himself with special education programs inside and outside of the District. He collaborates regularly with other directors to keep himself informed of all special education programs in his area of expertise. 16. Dr. Splane has been involved with Student and his family at the current placement for about five years. He is very familiar with Student and has regularly consulted with Student and Parent; he has personally monitored Student this school year, in and out of the classroom. He has consulted with Principal Molinelli regarding Student’s decline. He has also conferred with the teachers and staff involved with Student. His personal observations have confirmed the described behavior outlined by the District’s witnesses. 17. The behavior he witnessed from Student at his current placement does not fall within an average range of response for a child of his age and grade. Examples of Student’s inappropriate behavior include the degree and strength of his cry during a behavioral outburst, the fact that the teacher has to personally approach and address Student during each of Student’s behavioral outbursts, Student’s resistance to being redirected when off-task, and his refusal to make eye contact with the teacher during his behavioral outbursts. Student refuses to accept assistance when staff tries to de-escalate the situation. 18. The evidence showed that interventions have been put into place throughout the year at Payne, meetings with Parent have taken place regularly, the school psychologist worked with Parent to develop a behavior plan, and a support system in class was implemented to track Student’s behavior every 15 minutes to see if different times were worse than others, to no avail. A small lunch group of peers was initiated so he could play first and eat afterward, with fewer students. He was allowed to pick his own playmates for this group. However, eventually the other peers refused to participate with Student due to his outbursts. 19. On January 4, 2010, an aide was added to the general education class to assist Ms. Johnson, as the Student was taking a tremendous amount of her time away from the other students. This special education aide was a temporary replacement aide from the Payne SDC program. However, this aide was for academic support only; she provided direct intervention to Student during class in order to allow Ms. Johnson to resume instruction to the entire class. She was unable to provide the level of special education support or therapeutic support that Student needed. 20. Student has declined socially, emotionally and academically during his time at Payne. Children who used to want to play with Student eventually refused. In Student’s classroom, it did not matter who was sitting next to him as issues evolved between the two that caused Student to become angry, mumble words, show rage and exhibit volatile behavioral outbursts. Student’s self-esteem was very low and this impacted his interactions with others. He was frustrated when he felt others were doing better than him, and he reacted to these situations with negative statements or actions towards others. 21. Student’s current general education placement is failing to meet his unique needs. A behavioral intervention plan was implemented and failed to provide the level of support that Student needed. Placement at Payne does not provide Student the necessary ongoing therapeutic component to allow him to receive support dealing with his emotions and emotional responses, nor does it offer him a multi-faceted approach with a systematic behavior component to teach him how to react to his emotions. 22. Student’s IEP team met on January 12, 2010, for a three-year triennial evaluation. Ms. Ani attended and discussed the psychoeducational assessment that she performed. Based on the results of Student’s psychoeducational assessment, as well as the observations of Student’s instructors, District’s members of the IEP team discussed their belief that Student was not progressing towards his goals in his present placement. As a result of this, and Student’s significant conduct problems, they prepared a written IEP that outlined measurable annual goals in the areas of behavior, reading and written language designed to meet Student’s needs resulting from his disability. 23. The IEP provided a statement of how Student’s progress towards the annual goals will be measured. The IEP offered placement at the county office of education therapeutic special day class. The county office of education therapeutic special day class is a highly structured therapeutic special day class, run by Los Altos Unified School District in the county of Santa Clara. The District’s team members orally advised Parent that the name of the county office of education therapeutic special day class was Blossom. At Blossom, Student would continue to interact with general education students during recess, lunch and other activities, but his classroom training would be within the small structured therapeutic program and target his unique needs. 24. Parent attended the meeting accompanied by her significant other. After discussing Student’s annual program and services, both agreed to visit Blossom on January 22, 2010, and the IEP team was to reconvene on February 4, 2010. 25. Blossom has eight students, one teacher, one aide and an additional aide who supports implementation of the behavioral system. The maximum number of students in this placement is 10. Staff at Blossom work with the IEP and curriculum to develop lesson plans specific to each student. Students interact academically while receiving social benefits in the program. The program offers de-escalating options, a token economy reward system, systems of communication between the school and the home to help parents reinforce positive behavior or redirect negative behavior. During weekly individual and group therapy sessions, the teachers are specifically trained and well-equipped to recognize and address escalating behaviors once they have reached the point of danger to self or others. 26. The daily routine at Blossom begins each morning in a small group to allow the students to process information on how their morning is going to proceed. Instruction begins with light activities, while English, language arts or academic needs are developed individually for each student. Students are placed into smaller groups and led by an instructor in math and science studies. Socialization occurs throughout the day focusing on social skills development. The focus at this placement is to provide positive incentives to discourage improper behavior. With such supports, it is anticipated that Student would not be suspended or sent home as often as is occurring in the general education placement. 27. On February 4, 2010, the parties reconvened for the IEP meeting and the District’s team members continued to recommend placement at the county office of education therapeutic special day class. Parent had refused to visit Blossom and expressed concern about the travel distance to Blossom being 10 miles from the present placement. At this IEP meeting, Parent requested that District continue his current placement with a one-on-one aide, which District denied because his current placement did not meet his emotional and behavioral needs. The District presented a written Behavior Support Plan outlining environmental factors, necessary changes, functional factors, behaviors to teach and support, as well as reactive strategies and behavioral goals with communication provisions. Parent signed the amendment as a participant and refused to consent to the District’s IEP placement offer. 28. During these IEP meetings, Parent participated in the discussion concerning Student’s goals and current accommodations. Dr. Splane discussed with Parent all her concerns she had expressed at both IEP meetings. Parent did not disagree with the goals and accommodations the District presented. Parent preferred placement at Payne SDC. 29. Ms. Wohltman recommended to the IEP team that Student be placed into the county office of education therapeutic special day class due to the fact that the smaller class size of 10 students was more appropriate for Student. The county office of education therapeutic special day class is a “self contained” class, meaning that all subjects are taught in that same classroom setting. As a result, Student would receive the daily therapeutic and behavioral support he needs within the same small classroom setting. 30. Ms. Johnson attended both the January 12, 2010 and the February 4, 2010 IEP meetings. She recommended placement at the county office of education therapeutic special day class due to her belief that Student’s educational goals could be more appropriately addressed in that placement. 31. Ms. Molinelli attended both the January 12, 2010 and the February 4, 2010 IEP meetings. She recommended placement at the county office of education therapeutic special day class for Student as it provides the level of academic, social and behavioral support that Student needs. Ms. Molinelli recommended this placement based on her research and knowledge of the program, the information provided to her from the IEP team and their description of the services available at the county office of education therapeutic special day class. 32. Ms. Ani opined that the recommendation for placement at the county office of education therapeutic special day class is necessary because Student was not receiving the level of support he needed in his current placement. At the recommended placement, Student would be provided an individual academic plan where his academic needs could be met at his level. Student would also have a therapeutic component where he could receive support dealing with his emotions and emotional responses as well as the behavior component regarding his acting on those emotions. Ms. Ani believes that the District’s offered placement at Blossom could provide Student services towards his unique needs. 33. Dr. Splane was active in the consultation and preparation of Ms. Ani’s January 4, 2010 psychoeducational evaluation. Additionally, he participated in the January 12, 2010 IEP and the February 4, 2010 IEP meetings. Dr. Splane opined that Student needed a program that had a multi-faceted approach with a systematic behavior component as well as regular and ongoing therapy support to address Student’s emotional needs. The county office of education therapeutic special day class offered these services and, as such, would address all of Student’s unique needs and was calculated to provide Student meaningful educational benefit in the least restrictive environment. Dr. Splane recommended that Student be placed at Blossom. He explained his reasoning to Parent at the IEP meetings. Dr. Splane again discussed this specific placement with Parent via telephone on January 14, 2010, encouraging her to visit Blossom. 34. Parent attended both the January 12, 2010 and the February 4, 2010 IEP meetings. While she agreed that Student needs a placement in a therapeutic special day class, she wanted Student to be enrolled into the Payne SDC because a close relative also attended Payne SDC. 35. Multiple negative interactions have occurred on the playground between Student and the relative who attended the Payne SDC. These two students are highly competitive and display agitation and frustration when they are in close contact. The last time these two students were in the same small math group in a combined classroom setting, Student was suspended due to his behavior towards this other student. 36. If Student were placed in the Payne SDC with his relative, his competitive nature, his need to be better than others and his negative attempts to show how he is better would create an atmosphere of competition among them and would negatively impact their progress. Because the other student has such strong family ties with Student, this would make it difficult for either student to independently receive meaningful educational benefit from the services provided to them in the Payne SDC. Further, District expects to permanently close the Payne SDC as of the end of the 2009-2010 extended school year. 37. Parent provided no oral or documentary evidence that District’s offer of placement in the county office of education therapeutic special day class, as set forth in the January 12, 2010 IEP and February 4, 2010 IEP amendments, was not adequate to provide Student with a FAPE. In fact, the parties stipulated that the Student is in need of a therapeutic special day class. Parent’s closing brief contained several pages of facts that were not presented at the hearing and were not subject to cross examination. Therefore, this information was not considered here. 38. Parent asserts that the first day of the due process hearing was the first time she had heard that the name of the county office of education therapeutic special day class was Blossom. Student argues that because Blossom Hill Elementary School was not specifically named as the county office of education therapeutic special day class, that Student was denied a FAPE. 39. While her testimony throughout the hearing was that she was never specifically advised that Blossom was the name of the county office of education therapeutic special day class, the District witnesses credibly testified, and the evidence established, that the District’s offer to place Student in the county office of education therapeutic special day class was sufficiently identified as Blossom. 40. Student’s IEP offers placement at the county office of education therapeutic special day class. While the name of Blossom is not listed in the IEP itself, the IEP states that Parent is willing to view the placement and that District will take them to visit the program by Friday, January 22, 2010. This creates a reasonable inference that Parent was informed of the identity of the offered program. 41. 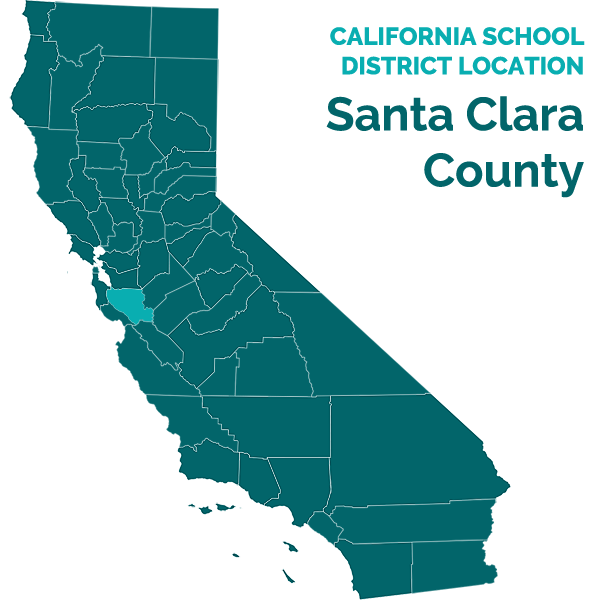 There was no evidence provided during the hearing that Santa Clara County Office of Education had more than one therapeutic special day class operated by the Los Altos School District. Nor was there any evidence presented that Parent was offered any placement other than the county office of education therapeutic special day class. Dr. Splane and Parent discussed Parent’s visit to the county office of education therapeutic special day class, and specifically named Blossom, just two days after the first IEP meeting in January 2010. 42. In Parent’s closing brief, for the first time, she asserted that Blossom is not appropriate because the therapist is only on campus once a week due to commitments in other schools. There was no evidence presented supporting this statement. 43. Next, Parent’s closing brief argues that Blossom is not an appropriate placement because Parent has concerns that Student will be suspended from the school bus for Blossom and the school is located 10 miles away. There was no mention of bus transportation, or any parental concerns regarding that issue, in the 2009-2010 IEP. Parent’s concern regarding transportation by bus was first brought up during the due process hearing; there was no evidence that she expressed this concern during any of the IEP meetings. 44. Student had, at one time, been temporarily suspended from the use of the regular general education school bus at his current placement due to his own misbehavior, but he was allowed to return to the bus after that short suspension. Dr. Splane agreed that, based on Parent’s newly expressed transportation concern, the school would provide transportation by way of a special education bus for Student. The bus would pick up Student at his home and return him to his home. The driver of this bus will be properly trained in addressing special education needs of passengers on this bus, unlike the general education bus drivers. Dr. Splane credibly testified that the smaller structure in the special education bus is similar to the smaller structure in the county office of education therapeutic special day class and that if Student was found to need an aid on the bus, the District would provide that as a related service. 45. The evidence established that Blossom has all of the behavior and academic components necessary for Student to achieve his educational goals. This placement has a therapy component with a therapist inside the classroom, as well as a separate office for individual therapy to be provided onsite. The therapist integrates himself into the classroom setting on an as-needed basis. Student would receive constant ongoing academic support. Currently, Student is underdeveloped in the way he copes with stressors throughout the school day and Student’s outbursts come without predictors, so it is important that someone is there throughout the day, at a moment’s notice, to be able to intervene. 46. Student’s only challenge to the District’s offer of the county office of education therapeutic special day class was that the District did not make a written offer specifically identifying the name of this placement to be Blossom. The District did discuss, at the IEP meetings, the offer of placement at the county office of education therapeutic special day class, sufficiently identifying it as Blossom, and made a formal written offer at the February 2010 IEP meeting. The District established that the county office of education therapeutic special day class would provide Student meaningful educational benefit in the least restrictive environment that he is unable to receive at his present placement. Therefore, the District’s January 12, 2010 and February 4, 2010 written IEP offer of placement of a county office of education therapeutic special day class constituted a FAPE. 7. As set forth in Factual Findings 2-6, 8-23, 25-33, 37, and 39-46, as well as Legal Conclusions 4-6, District’s offer of placement in the county office of education therapeutic special day class provided Student with a FAPE in the least restrictive environment. The District’s offer of the county office of education therapeutic special day class sufficiently identified the specific program being offered. The January 12, 2010 IEP and the amendments of February 4, 2010, offered Student a FAPE. District shall provide transportation services utilizing a special education bus to and from school. Education Code section 56507, subdivision (d), requires that the hearing decision indicate the extent to which each party has prevailed on each issue heard and decided. District prevailed on the sole issue heard and decided.